It’s always a little odd when you stumble across old Japanese cars. I mean, when it comes to cars from the summer of love, you always expect to find a Blue Oval or Bowtie on the hood… not a Mazda emblem. Subsequently, they make for intriguing and interesting collector cars that, to be honest, aren’t without their own challenges. And so it is with the Mazda 1500. 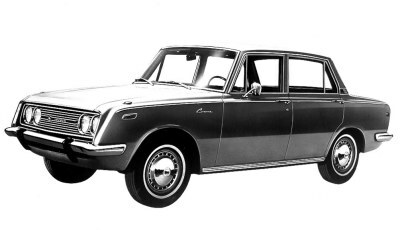 One of the largest sedans Japan produced during the period, the 1500 served as a good stop gap measure between the smaller import cars like the Mini, and the bigger American-made six-cylinder sedans like the Falcon and Nova. Available in two trim levels, the 1500 could be had in standard and deluxe trims, with the deluxe models receiving folding armrests, a power antennae, and a clock in the dashboard. Performance was middling from the 82 horsepower four cylinder, but the car curried favour with drivers looking for a true mid-size sedan with reasonable fuel economy and good safety features. 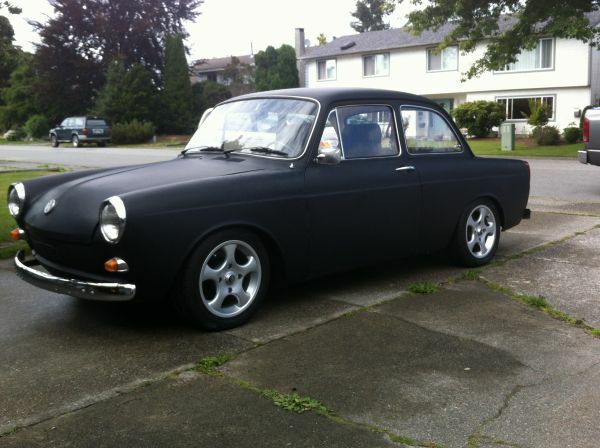 Being a very uncommon car, it’s hard to know exactly what to expect when walking up to one such as this. Undoubtedly, being made of Japanese steel circa Creedence Clearwater Revival, there’s going to be some concerns of rust, as evidenced by the ad’s admission that the hood is apparently rusty… although that’s a pretty weird place for rust to appear. However, if the car is indeed used as a daily driver, there shouldn’t be all that much wrong with it… but my concern would be fixing what is wrong with it. Like so many other little known Japanese classics, parts and support will prove the largest hurdle for any potential owner, and all that one can really hope for is to find at least a couple good suppliers. Then again, if the running gear or suspension is one its last legs, perhaps it would be a great vehicle with which to experiment with Miata/rotary parts swaps? If it’s something different you’re looking for, but yesterday’s Rolls Royce was a little out of your price range, then this might be the car for you: a 1969 Toyota Corona. Yup, just like the beer. 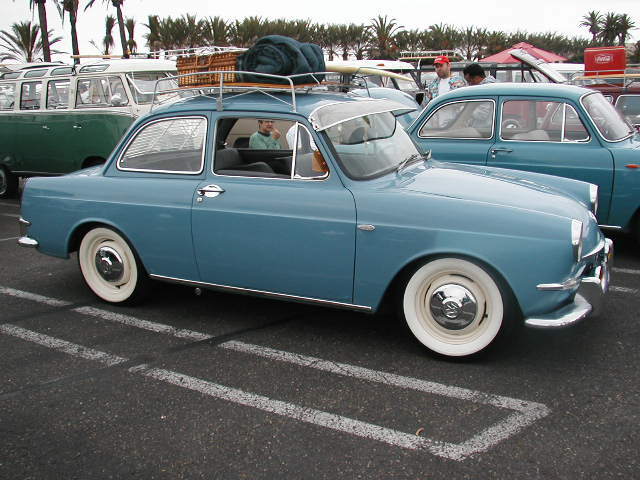 Which is ironic, since much of the early criticism levelled at early Japanese cars was their “beer can” construction… so perhaps Toyota’s decision to name their early sedan after a beer only available in glass bottles was their attempt at pre-empting the criticism. In any case, the Corona needed all the help it could get in the domestic market, where it’s diminutive size, tiny 1.4L to 2.0L engines, and odd styling kept it marginalized. Which means owning one 42 years after the fact might prove difficult. Although still doing a ridiculous amount of business, Japanese manufacturers typically don’t provide the same support for older models as many of the domestic manufacturers, which means parts availability can be a problem. The only upside is that this being a Toyota, you’re guaranteed a relatively large amount of parts sharing, especially when it comes to the powertrain and running gear. However, the downside is that this being a Toyota, it’s got rust… and the things that are rusting are probably a little less easy to locate. But for the right owner, it will undoubtedly provide interesting, and willing, transportation… and hey, you definitely won’t need to worry about any “unintended acceleration” incidents!